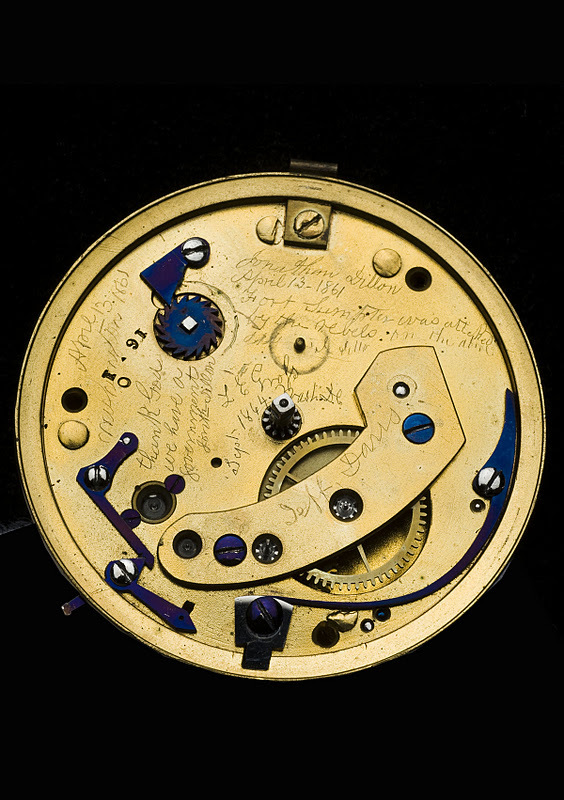 ‘In 2009 the Smithsonian found a “secret” message engraved in Abraham Lincoln’s watch by a watchmaker who was repairing it in 1861 when news of the attack on Fort Sumter reached Washington, D.C.
‘He then signed and dated the inscription and closed the dial. Dillon told The New York Times in 1906 that to his knowledge, no one ever saw the inscription. 0 responses to "Secret Message in Lincoln’s Pocketwatch, 1861"